CORRECTION – March 19, 2015 – This story originally stated the 2014 canola crop was 13 million tonnes – the correct figure is 15.6 million tonnes. BANFF, Alta. — It was easy last March to set a 26 million tonne canola production target by 2025 after farmers grew an 18 million tonne crop in 2013. But then 2014 produced floods, lots of disease, a tough harvest and a 15.6 million tonne crop and “easy” was not a word heard much in the world of farmers and canola. 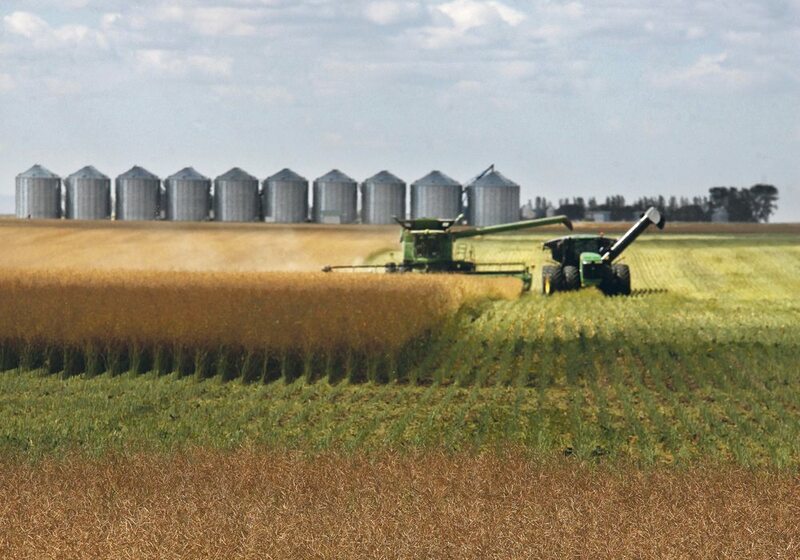 However, farmers and the rest of the canola industry sounded confident and bullish about the 2025 goals during this year’s Canola Council of Canada convention, a full year after setting them. “The strategy is a 10-year vision,” Terry Youzwa said in an interview on his last full day as council chair. Brett Halstead, president of the Canadian Canola Growers Association, was also confident but acknowledged in an interview that 2014 showed the obstacles that could appear on the crop’s path forward. “It is going to be a tough thing to attain,” said Halstead. Last summer’s crop production problems and the appearance of verticillium wilt highlight how much plant breeders will need to not only push canola’s optimum yield potential in good circumstances but also combat threats in bad conditions. 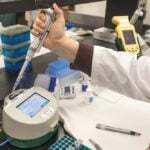 “We’ve got to stay ahead of the diseases in canola,” said Halstead. The canola council convention showcased a wide range of speeches and presentations, but all at least touched on the 2025 goals. A trends and future developments analyst said some technological revolutions in agriculture could create exponential gains in elements of production. “Your goal of getting to 52 bushels an acre is well within the reach of possibility, and I would even suspect that you would far surpass it, but you are the ones who have to create the future,” said Jack Uldrich, an expert on the likely impact of nanotechnology, computerized integration and robotics on production agriculture. Royal Bank of Canada assistant chief economist Paul Ferley highlighted increased productivity, such as the council’s hopes to boost per acre yields 40 percent, as something Canada badly needs to stay ahead of economic challenges such as an aging workforce. “It is critically important for the Canadian economy,” said Ferley. Farm Credit Canada economist J.P. Gervais said achieving 52 bu. per acre and 26 million tonnes will be a daunting challenge if trend lines going back to the 1970s are used because average increases in yield and production are below what will be needed. However, the targets look achievable if the trend line is begun in the mid-2000s because the pace of increases turned up at that point. “I think there’s a really good chance to get to the yield target,” said Gervais. However, a dark note of caution was sounded by North American transportation systems analyst Stephen Blank. The canola industry wants to boost production by double-digit percentages, but so do most other North American industries. That won’t likely work if the North American transportation network of railways, roads, waterways and pipelines continues to decay and decline. Not only have maintenance and new construction lagged for decades, but transportation infrastructure spending and planning have become mired in partisan political squabbling since 2008, preventing the problems from being addressed. “We are in for at least a decade of tumult and uncertainty,” said Blank. Canola council president Patti Miller spent virtually all of her speech discussing how the 2025 goals were being addressed. She said 2014 was a bad year in terms of what farmers faced, but everyone can take heart in what they produced regardless of those conditions. “Although weather conditions were really challenging in many areas, we finished the year with the second largest canola crop on record and a pretty respectable average yield,” she said. The council’s plan includes trade and demand development, about which much attention was paid during the conference. However, agronomics and transportation were the most noted farmer issues, and Miller said boosting agronomic performance is critical. “It’s about 40 percent more than we produced in 2013 and we know we’re nearly maxed out in terms of how much land we can use,” said Miller. Aggressive use of social media and the internet has given farmers lots of avenues to highlight production problems and get specialized advice, she said. That paid off in 2014. 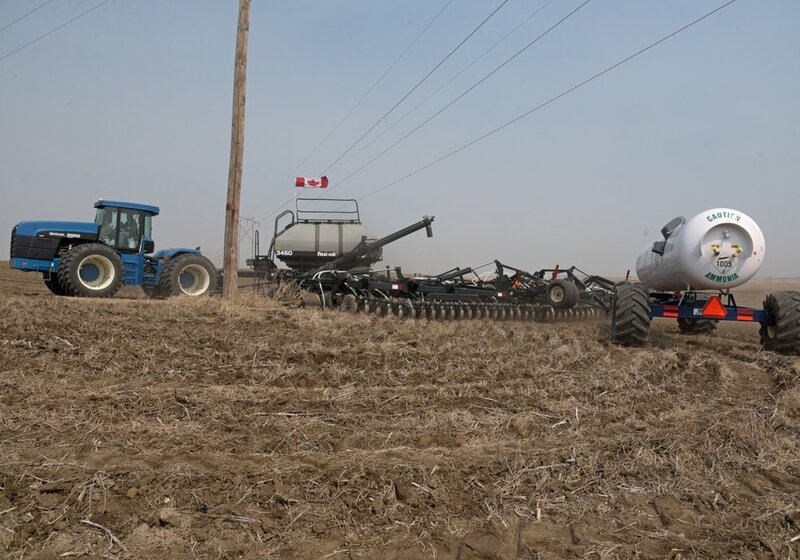 Brian Chorney, who farms near Selkirk, Man., said he thinks the agronomic support is going to become ever more crucial for farmers in the coming years. “We need to talk about agronomic programs that will help producers move towards those higher yields,” Chorney said.